Behavior analysts implement different type of interventions in their efforts to bring about cultural change. 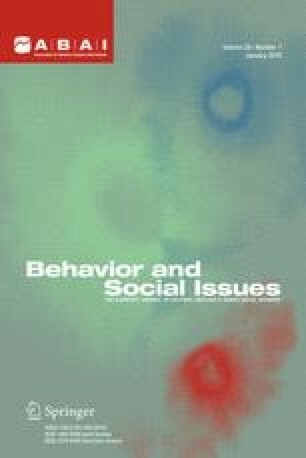 In this article, we identify basic elements of interventions having such goals: the number of people whose behavior contributes to the product of interest, the variety of response topographies that help to generate the product, the intervention locus of change, and the selection contingencies involved in bringing about that change. Based on these elements, we distinguish interventions that target selection contingencies from those that do not; and we distinguish those selection contingencies where the locus of change is individual repertoires (operant contingencies and macrocontingencies) from those where the locus of change is cohesive cultural entities (metacontingencies). We illustrate each type of intervention with examples from the behavior analytic literature and discuss some conceptual, practical and methodological implications. Early versions of the manuscript were presented at the 31st Annual Convention of the Association for Behavior Analysis (Malott & Glenn, 2005). The authors contributed equally to this article. Ries, L.A.G., Eisner, M.P., Kosary, C.L. (Eds). (2004) SEER Cancer Statistics Review, 1975–2001, National Cancer Institute. Bethesda, MD. (https://doi.org/http://seer.cancer.gov/csr/1975_2001).